You are currently browsing the tag archive for the ‘organic footie pajamas’ tag. My Baby Pajamas will be receiving our shipment of Sweet Peanut Footie pajamas next week. They have shipped this week from Canada! My Baby Pajamas is receiving a total of six prints in all. We are really excited about the footie pajamas from Sweet Peanut this Fall because Sweet Peanut footie pajamas are now 100% organic cotton pajamas 🙂 Sweet Peanut footie pajamas come in sizes 3-6 months to size 18-24 months. We receive so many request for organic pajamas for kids and we are happy that Sweet Peanut footie pajamas have gone organic :)) Don’t know much about Sweet Peanut footie pajamas…here is a over view of their company. These are the world’s best organic cotton baby clothes for design savvy parents and comfort loving babies. Our baby clothes are the only pieces any new parent needs to get ready for baby. Available in fresh, hip and original collections, there are prints to help every mama dress her new baby in style. Our soft and lush 100% organic cotton means baby’s new skin stays soft and protected. 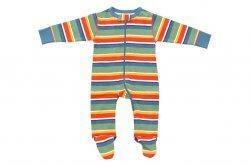 Be sure to check back with us next week when Sweet Peanut Organic Footie Pajamas arrive!! We get a lot of request for organic pajamas from customers at My Baby Pajamas. Our favorite organic pajamas are still New Jammies Organic Pajamas. We have brought in two new footie pajamas from New Jammies. We have brought in the New Jammies Cherry Blossoms Footie Pajamas and the New Jammies Turtle Footie Pajamas. We will also be bringing in new toddler organic pajamas from New Jammies Pajamas. My Baby Pajamas just received our New Jammies Organic Blueberry Pajama sets today. These organic kids pajamas are the hottest organic pajamas around!! The two piece organic pajamas come in sizes 12 Months to size 6 years. Plus, we also received the New Jammies Organic footie Blueberry pajamas. The organic footie pajamas come in sizes Newborn to size 18 Month. Be sure to check them out at www.mybabypajamas.com.